The team at Ngaio is dedicated to supplying you with quality products and solutions. We represent some of the world’s leading, established manufacturers so you have easy access to the best the world has to offer. Whenever possible Ngaio deals directly with the manufacturers of the products we market. A wide range of urine dip strips. Readers, suitable for both high and low volumes for urine dip strips. Clinical chemistry reagents, calibrators and controls. Bio-X Diagnostics specialises in the development, production and sale of reagents and veterinary diagnostic kits for the detection of diseases in farm animals. These include bovine, goats, sheep, pigs, horses and fish. BioGX develops molecular products and provides partner-specified formulation and manufacturing services for molecular reagents on a platform of a partner’s choice. The Sample-Ready technology is at the core of all product offerings for Clinical, Food Safety, Pharma and Water Quality analysis. A range of premium diagnostics tests including InPouch™ TV, InTray™ Colorex Yeast, InTray™ Colorex Bacteria and InTray™ GC. Bioo Scientific, founded in 2003, is a rapidly expanding biotech company located in Austin, Texas. For all Next Generation sequencing reagents. Capp stands synonymous to the word “innovation” in the Pipette Industry. Every decade has seen Capp contributing towards the expedition of innovation in the laboratory world by offering products with advanced designs to increase efficiency at laboratory workflow. 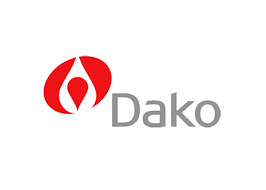 Dako, a division of Agilent, produce high-quality diagnostic antibodies, reagents, instruments, software and with expertise to help hospitals and research labs make accurate tissue-based cancer diagnoses and determine the most effective treatment for cancer patients. DNA Diagnostic A/S is a Danish biotech company established in 1992. DNA Diagnostic A/S has developed several PCR and qPCR test kits. Enzynomics produce over 150 high purity enzymes, consisting of approximately 100 restriction endonucleases, 10 DNA polymerases and 40 modifying enzymes. They also manufacture a number of kits for cloning, mutagenesis and diagnostic PCR. Gerbion provides molecular diagnostics solutions from sample to result in infectious disease testing. Gerbion nucleic acid extraction kits can be used for a broad range of sample materials. Their real time PCR and real time RT-PCR kits contain all of the reagents in ready-to-use mixes. Albagaia Ltd. is an environmental technology business specializing in industrial applications. The company is the producer of a breakthrough technology for the rapid detection of Legionella. The Hydrosense Legionella test provides results within 25 minutes and is the only Legionella test that can be performed on-site. It requires no training or experience. A full range of molecular biology products for research. Sanita-kun is a ready-to-use dry sheet medium with self-diffusible non-woven fabric from Japan. Easy operation, accurate and easy to read results, cost effective. Key Scientific manufacture a wide range of test discs, carbohydrate fermentation tests and general micro reagents for clinical, veterinary and industrial labs. Examples include PYR discs, butyrate discs and VP test reagents. A range of quality microbiology products including Bacterial Identification Systems, Rapid Culture Confirmation assays and the new Path-Chek rapid method for detection of potential pathogens from surfaces. AnaeroPack™ System. Water free. Catalyst free. The complete atmospheric gas generating system for microbiology. Sole authorised distributor for New Zealand. OptiGene has developed innovative products that support sensitive and specific detection of bacteria and viruses for use in the fields of plant health, food safety, veterinary medicine, environmental monitoring and healthcare. PluriSelect is a German biotech company that produces cell and protein separation systems for research & development as well as for diagnostics. Primerdesign Ltd specialises in real-time PCR. 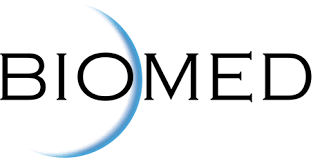 Primer Design were founded by experts in 2005 and have since grown a global reputation as the best place in the World to purchase qPCR kits and reagents. Rayto manufacture quality clinical laboratory and food science instrumentation including automated Microplate Washers and Microplate Readers. A range of Neo-Sensitabs™ for reliable and uniform susceptibility testing of bacteria and yeasts. Also Roscozym™, Staph-zym™ and Diatabs™ for efficient identification of bacteria. Specialising in the research, development, manufacturing and marketing of diagnostic kits for infections and genetic diseases. Chlamydia Pneumoniae, Mycoplasma Pneumoniae, Bordatella Pertussis, Sexually Transmitted Diseases. Scientific Device Laboratory – Innovations in Parasitology, Microbiology, Mycology, Mycobacteriology and Printed Slides. StatLab is a leading developer and manufacturer of cost- effective histology, cytology and immunohistochemistry diagnostic supplies. Streck manufactures hematology, immunology and molecular biology products for clinical and research laboratories. Recognized worldwide as the leader in cell stabilization, Streck focuses on the development of quality control and diagnostic products to help meet the fast-paced needs of clinical laboratories. Our continued commitment is to provide innovative solutions that address customer and market demands. With more than 30 years of experience in the development of instrumentation and testkits for rapid microbiological testing SY-LAB became a leading provider of microbiological impedance testing systems as well as biomolecular lateral flow test kits for rapid pathogen testing. Ultimed products supply a wide range of rapid drugs of abuse test products, including saliva drugs of abuse tests. Ultimed also stock a range of other rapid tests including rapid LH (ovulation tests). Rapid immunochromatographic diagnostic for Faecal Occult Blood utilising a monoclonal antibody for human haemoglobin. Innovative tools to make simple, rapid, ultra-pure nucleic acid purification possible from a wide variety of samples. EZ DNA Methylation Kit™, a precise and accurate tool for determining DNA methylation status.